Some people think that becoming a ladylike debutant comes naturally. And while that might be true for some, it actually takes rigorous practice for most folks. Is your kid willing to jump through a couple of ladylike hoops? Well, here's a few tricks of the trade to make her feel right at home in this lovely Southern Belle costume. The first tip, stand up straight! Your kiddo can have fun with this by walking while balancing a book on her head which is a classic finishing school activity. Secondly, use those "please" and "thank you's" with Southern style sweetness. And thirdly, practice that curtsy! It takes a little balance to get a greeting curtsy down smoothly. While your kiddo is waiting on pins and needles for this gorgeous gown to come in the mail, have her practice a curtsy every time she asks if the package has arrived yet. She'll have it down pat by the time she's slipping into this look! 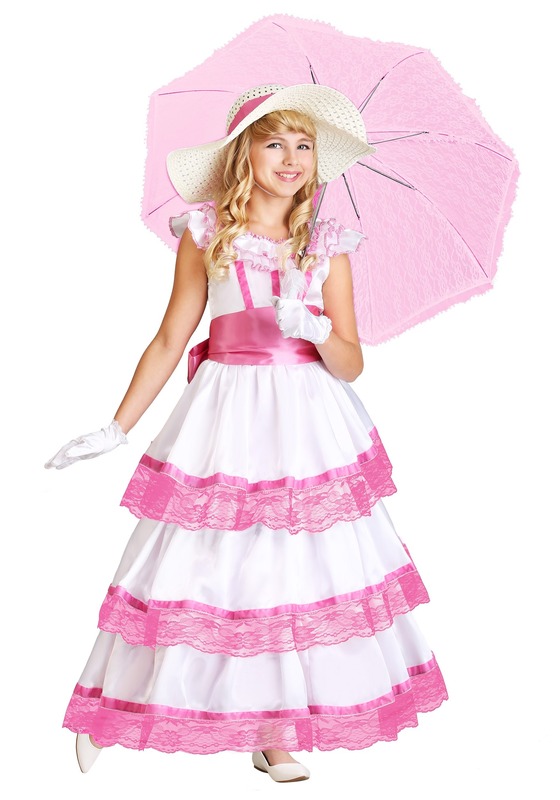 This Made by Us Southern Belle costume is ready for the debutante ball! The look is lush with tiers trimmed in pink satin and lace. The top has a layered, ruffled neckline that's free of lace to keep your kiddo from annoying itching while remaining luxurious. It zips up the back to make slipping into the costume a breeze. 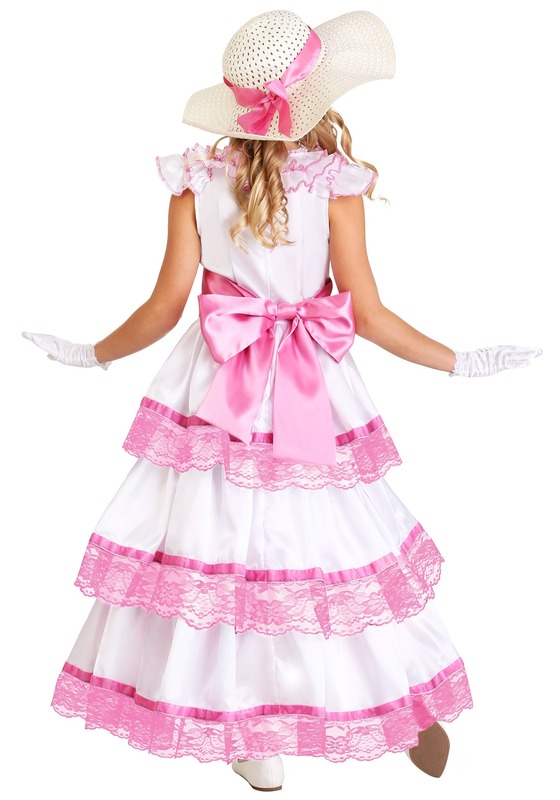 With a wide pink sash around the waist that finishes in a bow, your child will be ready to twirl and charm her way into her debutant debut. Whether your child is dressing up for Halloween, a festival, or a play, this high-quality dress can be worn again and again for playtime after the event is over. Who said playing at home can't be a special occasion. What better way to make tea time on the porch extra memorable!